With P2P IP cameras, you are free to enjoy the painless setup (one QR code) and easy remote viewing (one click) on your Smartphone, Mac, or Windows. Because that’s exactly what I’m going to show you in this article – everything you would want to know about P2P network cameras. 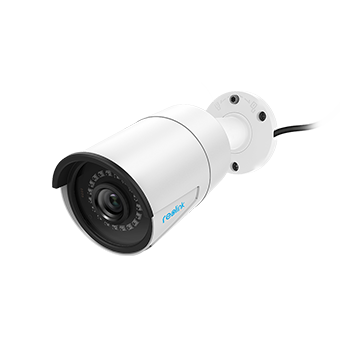 Simply put, a P2P camera is an IP network camera that uses peer-to-peer (P2P) network technology to simplify the linkage between IP security cameras and your Smartphone or PC when you view camera feed locally and remotely. So how does a P2P IP camera work? Well, each P2P security camera or network video recorder (NVR) is identified with a unique ID number (UID) registered and integrated at the developer level, which is used to ping the P2P server (merely for connection, not a proxy) via network P2P IP camera apps or software for Mac/Windows. Once the P2P camera is connected with the P2P IP camera app/software, you can stream live videos from the P2P IP security camera in a breeze in real time even outside your home or local area network (LAN). Note: Unlike P2P cameras, Analog cameras are not equipped with a P2P system and only capture and pass the image to their DVR. Most DVRs these days have a P2P system built into them so that they can be accessed from outside the network easily. Before P2P IP network cameras come along, remote viewing setup on surveillance cameras used to be a headache, which involves configurations on the camera, requiring DDNS server, port forwarding or port mapping on the router, tweaking with network firewall, etc. However, P2P network technology makes everything a whole lot easier! Apart from simple P2P IP camera setup, there are many advantages of P2P network technology that benefit P2P security cameras. P2P network technology tackles problems that have long plagued many non-P2P IP cameras head-on. For example, users used to labor his wits on DDNS setup or port forwarding to view IP camera video outside the home network or remotely on a mobile phone, laptop or PC. Nowadays, there is no such complicated P2P IP camera setup because P2P IP security cameras/NVRs are pre-configured in production, for example, Reolink Argus 2 P2P IP camera. Thanks to the simple connection between P2P cameras and your Smartphone/PC/Mac, it facilitates remote viewing and resolves common problems like “Can I access my surveillance camera on the internet while I am out of home network?” “Can I view my camera while at work or outside my country?”. In virtue of the P2P IP camera app (iOS & Android) & software, you can view and stream live videos from P2P cameras like Reolink P2P security cameras more smoothly in real time (Read this to learn how). Note that you can’t view P2P IP cameras on web browsers remotely without port forwarding, because most web browsers are not built in with P2P technology infrastructure. What’s more, you can even record videos remotely and save the P2P cam footage to the SD card or NVR remotely through the IP camera P2P viewers and software. Even you’re not physically there, you can play back historic videos of the P2P WiFi cameras to ensure you miss no single details. P2P IP cameras also allow you to watch live viewing on multiple devices, like your smartphone, laptop or mac at the same time. As P2P networks are highly stable, you can view the P2P IP HD cameras on your smartphone or Windows/Mac without constantly suffering from significant video delay or connection failure. So, what are the differences between the peer to peer IP cameras and the traditional port forwarding security cameras? Do the P2P IP cameras surpass traditional surveillance cameras in performance and functionalities? Easy P2P IP camera setup via QR code scanning. No need to set port forwarding or port mapping. No need of DDNS server. P2P cameras can connect to Internet from anywhere. Need to use the DDNS server. Need to do port forward or port mapping. DDNS service is not stable. Firewalls need to be disabled, putting your network at risk. There are many P2P cameras (CCTV & IP cameras) on the market; it’s a challenge to choose reliable and quality P2P network cameras. Today we recommend some well-received P2P surveillance cameras (WiFi & PoE) with decent prices based on their performance, features, and reviews. Reolink Argus 2 is a 100% wire-free battery-powered P2P WiFi Camera and it can be set up in a minute. After scanning QR code on the back, voice prompt walks you through the whole setup and WiFi settings. 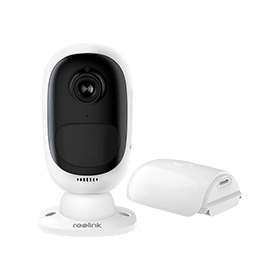 Besides, you can stream live videos remotely or playback pre-saved motion recordings stored on your SD card with a few taps on the Reolink P2P IP camera app. RLC-410 camera, a 4MP/5MP Super HD P2P PoE security camera, is one of best-selling IP cameras of 2018. With Reolink P2P app and desktop software, you can stream live videos effortlessly. Better yet, this P2P IP camera price is pretty budget-friendly – at $54.99, a best-valued quality P2P IP camera for home and business. 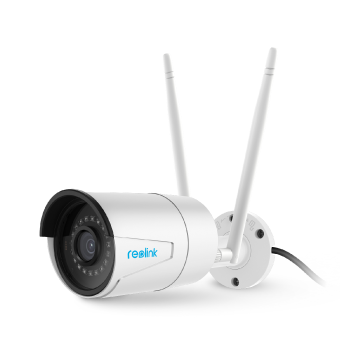 Reolink RLC-410W P2P WiFi camera can be set up easily by scanning QR code or entering UID. This dual-band WiFi P2P IP camera (2.4/5 GHz) can ensure stable video streaming locally & remotely, and it helps cut down bandwidth pressure on home broadband as 5 GHz is less crowded than 2.4 GHz which is widely used by other home appliances. Viewing live video feeds and accessing footage saved on SD card is easy and painless on Reolink P2P IP camera app & desktop software (PC/Mac). Below is an unboxing video of the 5MP version of Reolink RLC-410W. To deepen your understanding of P2P IP cameras, here we’ve rounded up some frequently asked questions for your reference. In spite of the advancement in P2P technology, IP P2P cameras are likely to be vulnerable to security threats. That’s why P2P server authentication must be done by at least 2 servers to ensure security as well as connectivity in case one server goes down temporarily. For example, Reolink P2P server (provided by Amazon Web Server) contains main server and relay Server to make sure P2P cameras won’t suffer from connection failure. Meanwhile video stream encryptions between the P2P cameras and P2P IP camera app/software or viewing client, for example, SSL encryption, WPA2-AES encryption, and SSL-TLS, are important to ensure the stream won’t be hacked or eavesdropped by someone. 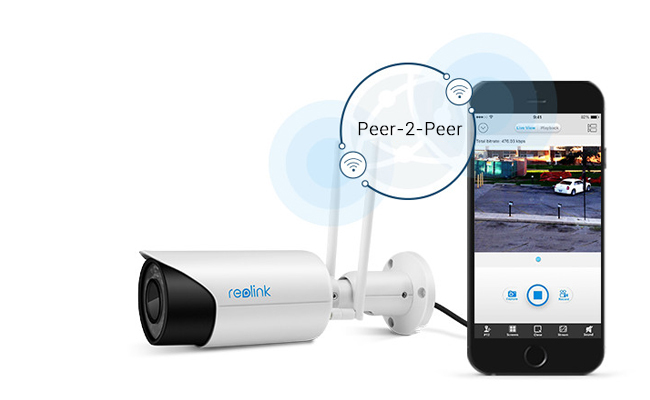 To reduce the security risk of the P2P IP cameras, choosing P2P cameras from a reputable brand like Reolink goes a long way to ensure the security of P2P WiFi cameras. Besides, using VPN to live stream video live feeds also help reduce the risk of having P2P network IP cameras being tapped or hacked. Learn more about how to prevent your IP camera from being hacked. There could be many reasons when users couldn’t access the P2P cameras remotely on their mobile phone remotely, like network issues, wrong password, WiFi connection failure, etc. Follow the useful troubleshooting tips below if you can’t connect to your P2P wireless cameras remotely using the P2P IP camera App. Make sure your P2P IP camera is connected to the internet. Check to see if your mobile device is connected to the Internet. Verify the P2P feature of your camera is enabled. Make sure you have entered the right username and password of your P2P client IP cameras. Update your P2P network camera and the P2P IP camera software to the latest versions. Bonus: Fix more feasible ways to solve the “connection failed” on P2P WiFi security cameras. P2P network cameras are normally registered with a P2P server and can be accessed by P2P IP camera viewers or apps (mostly proprietary). During setup, if you encounter a problem like “invalid ID” or “offline”, try to delete the device and try a couple of times later. Besides, many so-called P2P cameras sold by resellers could possibly suffer from “Invalid ID” or connection problem. It’s important to purchase P2P cameras from top security camera brands. What’s more, running P2P IP cameras on third-party apps or software, you are likely to bump into “invalid ID” due to compatibility issues. P2P WiFi cameras won’t constantly use bandwidth because it will eat the data only when you are viewing the cameras on P2P software or viewer (iPhone, Android, Mac or Window) and the cameras send you alerts upon motion detection. Note: If you have any questions, comments or feedback, feel free to leave your comment down below and we’d love to hear your thoughts! This entry was posted in Home Security FAQs and tagged p2p cameras, p2p technology, Port Forwarding. I have a Zoneway brand p2p camera that I purchased a few years ago and it worked great until a few months ago. I’m getting the “connection timeout” error when I try to connect remotely from outside my Lan. My best guess is that the p2p server whose ip address is hard-coded in the firmware is no longer being supported by Zoneway – a problem I really hadn’t thought about when I purchased the camera. Is there any workaround to get the p2p functionality back or I I now stuck trying to set it up by DDNS. Hi there, sorry to hear about your recent trouble. If it’s possible, try to update camera’s firmware and your apps because in many cases, buggy camera firmware and software could be the cause for connection failure. Meanwhile, make sure your camera and your phone are connected to the stable network when you try to view the video remotely. If you are looking for a placement in the future, it’s important to choose reliable and trusted brands, like Reolink. 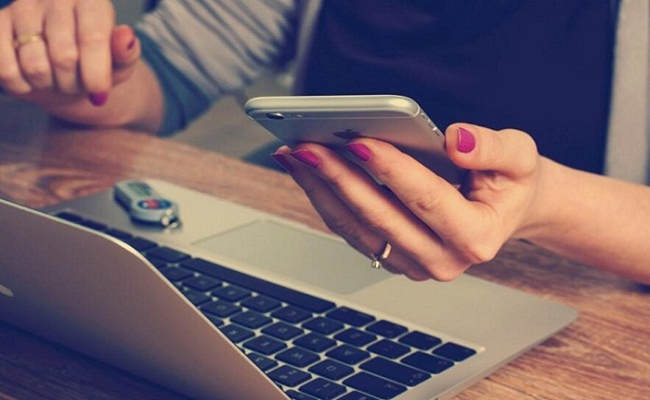 How secure is the P2P communication? is the data encrypted between the camera and the client? P2P communication, in many cases, is secure as long as the stream is encrypted between camera and the client, such as by SSL encryption, WPA2-AES encryption, and SSL-TLS enabled like Reolink. Meanwhile, to better secure video stream, VPN is also advised to use when streaming video over the internet. Hi Anguilia, it’s always a good idea to consult the manufacturers if you don’t feel confident about the security of your security cameras. Hi, Sean, you may contact our support team https://support.reolink.com/hc/en-us/ to request the RSTP command. Hi! I live far away from everything and there is only cellular data around here, I have a 3g/4g mifi modem. Can I use P2P cameras with this kind of modems? Hi, there, yes, you can use the P2P cameras with the modems. But note that the P2P IP cameras may not perform at their best due to the unstable cellular network and limited bandwidth. Hi, Ronnie, encryption technology is applied to all your commands to the IP cameras, such as settings adjustment, live viewing and video playback. VPN is a good solution to protect your data from being hacked. If you want to access your security camera remotely, you may need to configure the firewall settings to allow security camera viewers through the firewall. Thank you for your information, Can we get the P2P IP Camera streams to our custom Mobile Apps or Web applications instead of relying on manufacturer Applications? Hi there, to avoid compatibility issue, it is recommended that you stream P2P IP cameras on the manufacturer’s application. Hope this helps. Hello Dan, yes, you can schedule the recording of a P2P system in accordance with your need. Hope this helps. Hi, we bought a C1 Pro camera for a school site. It works great on the internal network; however, I cannot access the camera from the Internet using the P2P protocol and UID method. I’m guessing our network is blocking P2P ports. What port do we need open for this to work? I don’t want to do manual port forwarding to all the other UDP ports.